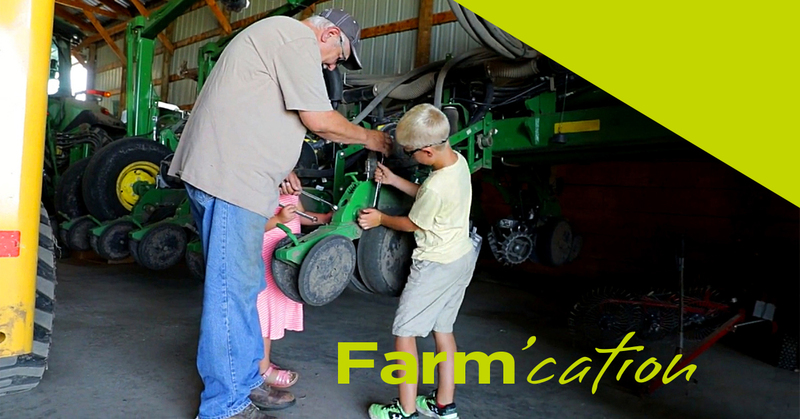 For many South Dakota farmers, the farm has belonged to their family for generations. For these families, a farm isn’t just a place to live. It’s a family business. The land and water on a farm are precious assets. Because farmers expect to pass on their farms to their children and grandchildren, they care for the land and water. A farmer’s knowledge of the land is passed along to the children and grandchildren who inherit the farm. The knowledge base within the family’s farm business includes experience not only with crops, productivity and yield, but also with conservation and sustainability. The entire state benefits from the family’s contribution to our economy. The entire state benefits from the family’s commitment to conservation and sustainability. Fortunately, in South Dakota, 98 percent of farms are family owned and operated. And more than 2,500 South Dakota farms have been in the same family for more than 100 years. The average size of a farm in South Dakota is 1,374 acres. In the past, most row crops were grown east of the Missouri River. But today, advances in plant breeding have resulted in corn hybrids that can flourish in dry conditions, so more and more West River farmers are growing row crops as well. Other crops grown in South Dakota include wheat, alfalfa, sunflowers, hay, sorghum, oats and barley. Eastern South Dakota is also home to the majority of the state’s 92,000 dairy cows and 930 hog operations. Other livestock, including beef cattle, sheep and bison, are raised west of the Missouri. In South Dakota, there are 46,000 producers on 31,800 farms. Every year, each Dakota farmer raises enough food to feed 155 people in the U.S. and around the world.